After having balked at social networking site Facebook's "onerous" terms for Apple's Ping social music service, Apple Chief Executive Steve Jobs may now be ready to work with Facebook CEO Mark Zuckerberg, with a new report claiming that the two recently met for dinner to discuss Ping. In a rare move, Jobs invited Zuckerberg to his house for dinner about two weeks ago to talk about Apple's fledgeling social music discovery service, the Los Angeles Times reports. The two were reportedly spotted "on a stroll" in Palo Alto that same night. 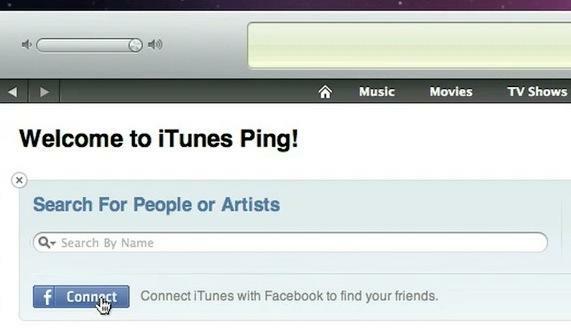 The meeting is seen as a positive sign that Apple and Facebook are resuming talks over Facebook integration for Ping. When the Cupertino, Calif., company launched its Ping service on Sept. 1, allowing users to "follow" artists and friends and see what they're listening to, users were surprised to find that Ping was not tied in to Facebook despite initial evidence to the contrary. Apple VP Phil Schiller had said in an interview that users would be able to use Facebook to find their friends on Ping, and a Facebook connect button for Ping in iTunes was first made available then blocked shortly after release. When questioned by BoomTown's Kara Swisher the day after the service launched, Jobs responded that the terms demanded by Facebook had been unacceptable. Privately, Facebook executives told Swisher that they were frustrated with the similarity of Ping's layout and color scheme to their own site. Publicly, Facebook responded with a statement: "Facebook believes in connecting people with their interests and we've partnered with innovative developers around the world who share this vision," the company said. "Facebook and Apple have cooperated successfully in the past to offer people great social experiences and we look forward to doing so in the future." Several weeks later, a rumor emerged that Apple's iTunes team had been in talks with Facebook for 18 months before negotiations broke down. Facebook Chief Technology Officer Bret Taylor then told media representatives at the end of September that he remained "very confident" that the two companies will find a way to work with Apple. The dinner meeting between Jobs and Zuckerberg suggests that progress has indeed been made. Although the service attracted more than a million users in its first 48 hours, Ping has not been particularly well-received by critics. Reviewers for several major publications, such as the Wall Street Journal and BusinessWeek, found the new service disappointing. A number of improvements to the service, which Apple issued in an update to iTunes, were received favorably, although the general consensus remained that Apple's attempt at 'going social' still had a long way to go.